Seattle epicureans flock to the celebrated Lark restaurant for its rustic yet elegant cuisine that showcases local artisans, farmers, and foragers. 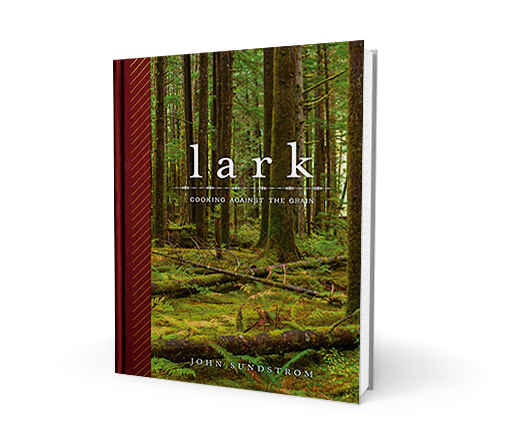 JBF Award-winning chef John Sundstrom’s new cookbook, Lark: Cooking Against the Grain, tells the story of the Emerald City restaurant and cooking through the seasons of the Pacific Northwest. With gorgeous photographs and thoughtful recipes, readers can experience the buzz without having to leave the comfort of their own homes. Beard on Books is an ongoing monthly literary series featuring readings and discussions with some of the food world’s most celebrated authors. Acqua Panna and S.Pellegrino waters, Lavazza Coffee, tea from Tea Forté, and Valrhona Chocolate will be served. Sweets provided by Three Tarts. Guests are also welcome to bring a brown-bag lunch. Suggested donation $20. Free admission for students.